There was a time in hip hop history where it would have been laughable if someone suggested that in 2019 Juvenile and Birdman would be releasing a joint album together. The Hot Boys had a falling out years ago, but since then have patched things up, so much so that they recently released their fire record Just Another Gangsta. 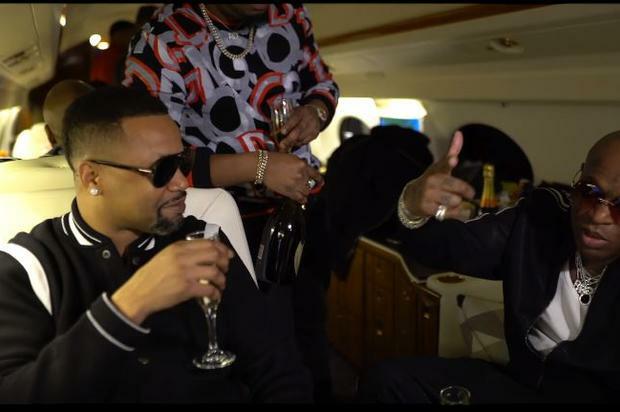 The two of New Orleans’ finest have dropped off the visual to their Just Another Gangsta single “Breeze” where they aren’t afraid to show off like they’re “stuntin’ like my daddy.” Juvenile steps forth for the single as he raps most of the track while Birdman lends his vocals to the intro, outro, and interlude. In the Adam Bains-directed visual, the rappers bask in the private jet lifestyle as they fly high with friends, drinking champagne thousands of miles in the sky. It’ll be exciting to see what else these OG Cash Money Millionaires have in store for fans.